Today was Bee Day! I installed three packages of bees, three pounds each. I have no hives in my backyard now, which means that I’m van-farming this season. It’s a lot like car-schooling, but without kids — I never know what I’ll need, so I over-pack. 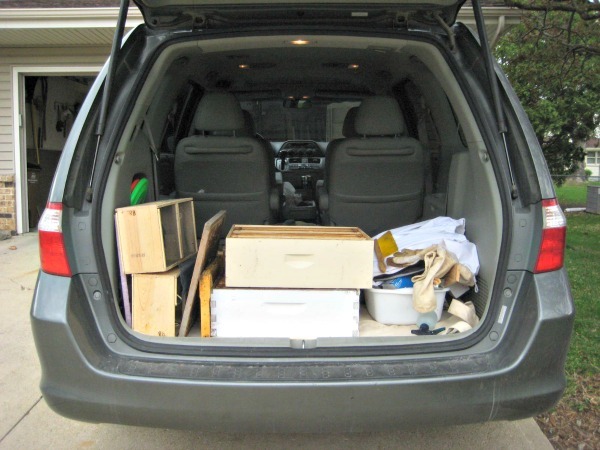 This entry was posted in bees and tagged beekeeping, minivan, package bees. Bookmark the permalink.